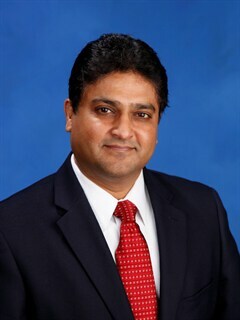 Saint Francis Medical Center introduces Sunil Mungee, MBA, as director of physician practices. In this role, he will be responsible for fostering, developing and facilitating the improvement of Saint Francis Medical Center’s Medical Partners. Mungee has extensive experience in practice management and physician recruitment. He previously was manager of operations, business development and marketing at Cherry Tree Medical Associates in Uniontown, Pa., a multi-specialty physician practice. He also has experience in physician recruitment in underserved medical areas, business development and electronic medical record implementation. Mungee earned a bachelor’s degree from Indore University and a master’s degree from Vikram University, both in India. He earned an MBA from Aspen University in Denver. He is a member of the American College of Healthcare Executives, the Medical Group Management Association and the advisory council for Aspen University.